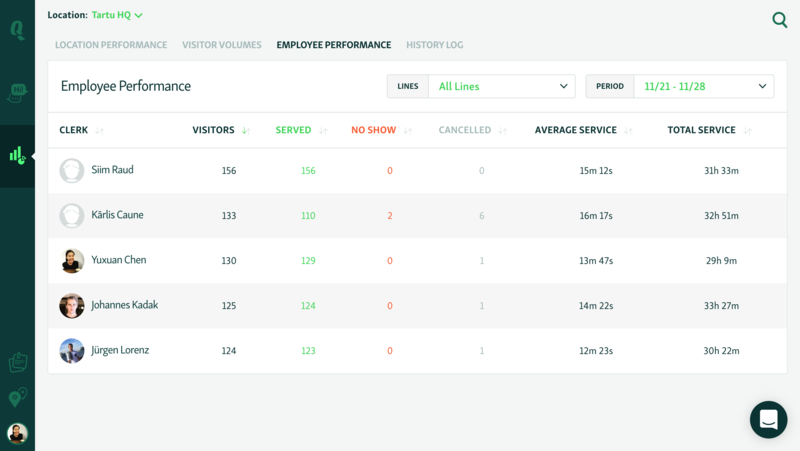 The employee performance view gives a great summary on how your clerks have been doing - overall visitors assigned, visitors served, no-shows, cancelled visitors, average service time and total service time. To access this information, go to Data Insights > Employee Performance. You can filter the data by time period and service lines and sort employee performance sequence based on different variables.